We've all heard of Fannie Mae and Freddie Mac, in various tones and across different topics. But who are they? How do they operate in the world of mortgages, money, and home ownership?How are they different from other banks and lenders? In a series of articles, we examine the good, the bad, and the curious about government-sponsored enterprises, otherwise known as Fannie Mae and Freddie Mac. Fannie Mae, organized by the government, charged with a public service, and operating as a private corporation, is a unique entity. Working within the secondary mortgage market, they enable banks and other lenders to loan more, thereby offering more families the opportunities to become homeowners. That's their company goal and their reason for being, set forth way back in 1938. A number of initiatives and company policies work towards the goal of increasing opportunities for homeownership. In particular, Fannie Mae made their American Dream Commitment, a $2 trillion pledge to increase homeownership rates and serve 18 million targeted American families. They look to increase opportunities for home buying, and affordable rental housing options, for low- to moderate-income individuals and families. They're particularly interested in raising the minority homeownership rate, easing and/or preventing foreclosure, instituting workforce housing and supportive housing for chronically homeless, and transforming specific communities. Fannie Mae also takes on mortgage industry problems like predatory lending, meaning the disreputable use of mortgages to prey upon and fleece borrowers. They've created a bill of rights for borrowers, insisting that all home-buying consumers should be treated equally and should have access to the lowest cost mortgage for which they qualify. This also means ensuring borrowers understand the full terms of each mortgage. To further eliminate predatory lending, they hope to expand conventional loan practices to the subprime market (where many abuses occur), leverage technology to expand markets and reduce costs, work to prevent loan defaults and foreclosure, and more. As part of their goals for the housing industry, Fannie Mae offers educational resources in person and online for homebuyers. Educated borrowers are less likely to be taken advantage of, and more likely to reap all the benefits of owning a home. Fannie Mae developed Home Counselor OnlineTM, a software tool shared with homeowner educators and other housing professionals to help families financially prepare for homeownership. In addition, they have various community outreach programs for targeted communities. Finally, they offer a wealth of information at their website for both investors and consumers. 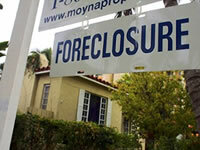 Fannie Mae Homestay Program - Subprime Bailout? What Does the Fannie and Freddie News Mean for You? As the Bailout Bonanza Continues, Shouldn't Borrowers Participate Too?